Many people dream of starting their own business, then watching it grow toward success. For those in the commercial inflatable rental business, these dreams can become a reality. Inflatables rentals are a great way to supplement the income from another job – as a part-time business, rentals can be a rewarding pastime. For those looking to make it a full-time business, a few additional steps are needed to get the business operating efficiently. In this guide, we’ll discuss some of the best ways you can achieve profitability with your inflatables rental business. Despite appearances, many first-time business owners do not realize that advertising is the key to growing one’s business. A commercial-grade inflatables rental business is no different; the owner must take steps to get the word out. Advertising does not have to be expensive – printed flyers, word-of-mouth, and social media posts can provide big payoffs in a short amount of time. Create social media pages on the popular platforms like Twitter and Facebook, then post photos and details of your inflatables for rent. To leverage social media in the best possible way, you must post regularly, and that includes news about your business, new products, and new services you offer your customers. Encourage your customers to post favorable reviews if they are satisfied with your service, and their friends are more likely to share your posts and to provide new business opportunities for you. Now that you’re gaining new customers, you must do whatever you can to keep them happy. Outstanding customer service is the crucial component of customer loyalty; without it, many small businesses fail. Providing support to each client through every step of the rental process can build loyalty. If those customers are happy, they are more likely to help you spread the word to their own friends. Repeat customers can be offered discounts on future inflatables rentals, too. This also builds brand awareness, helping you stand out even in competitive marketplaces. 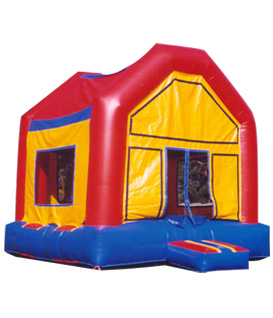 There are many inflatables rental operations in the U.S., and competition can be fierce. One way of standing out from the crowd is to do things a bit differently, such as offering custom inflatables to your customers. Work with an inflatables manufacturer on styles and colors that are unique; the best manufacturers have a robust custom-ordering system to help facilitate this part of the overall business picture. Backyard birthday parties are not the only business opportunities out there for your inflatables rental business. To gain new customers, it can be a great idea to approach schools and charitable organizations in your area, too, offering inflatables for special events like fall festivals and community gatherings. With a little hard work and the ability to deliver on your promises, your new business will flourish. Take the steps today to help your business stand out from the pack, and soon you will be a success in the inflatables rental market. Next: Next post: What Is A Business Analyst?